And Now… the return of the Revolutionary Ensemble! The release of a new album by the influential collective may come as a surprise to bands many long-time fans — Not much had been heard from the trio since the late 1970s. An avant-garde jazz band based around stringed instruments, they were considered unusual even on the highly experimental 1970s New York City loft scene. 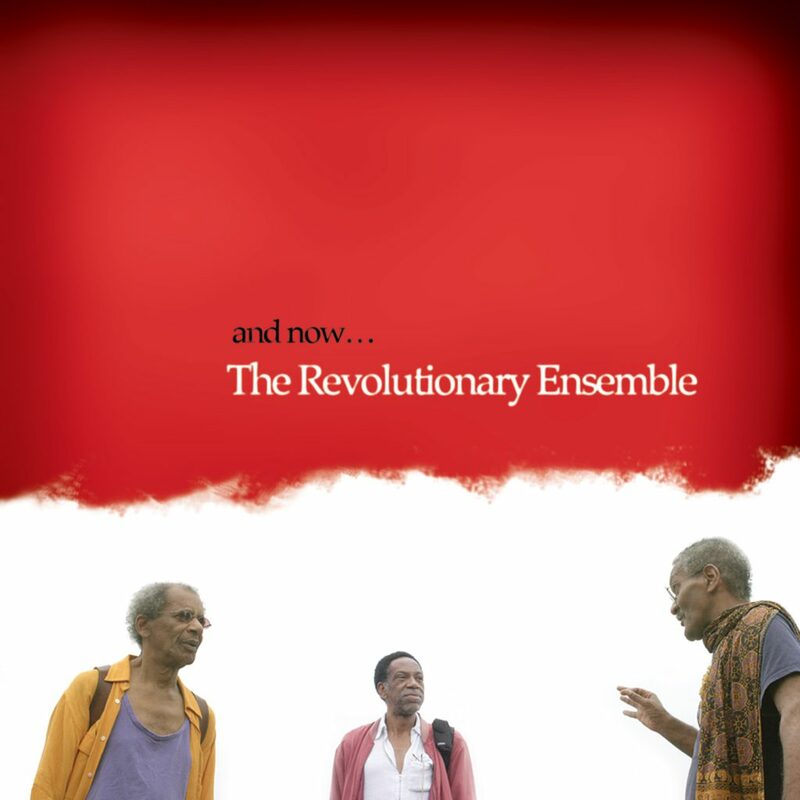 The Revolutionary Ensemble is a cooperative trio made up of three very individual musicians: Leroy Jenkins on violin, Sirone on bass and Jerome Cooper on drums. They mixed chamber music with free jazz and funneled it all through the philosophy of the AACM. Their reputation, spread mostly by word of mouth, was based on their startling live performances. Most of their recordings were on small and often times hard to find labels except for their one major label release: “The People’s Republic”, on Horizon Records, A&M’s short-lived foray into jazz. That record brought the band wider recognition and fantastic critical accolades. Unfortunately, the Horizon imprint soon folded and the catalog went out of print. Within a few years the band dissolved, leaving only a handful of difficult to find albums as a reminder of their greatness and influence. Fast forward to 2004 and suddenly they re-emerge, seemingly out of nowhere. This year saw the re-release of “The Psyche”, an obscure album that had originally come out on the Ensemble’s own RE: Records and a standing room only performance at the Vision Festival in New York City in May. Most significantly, Pi Recordings brought the band back into the studio to record “And Now…” their first new album in 27 years. As in the past, the album is made up of compositions from all three musicians. Sirone contributed “Berlin Erfahrung” and “Ism Schism”. His pieces have almost hummable melodies and reflect a classical influence. Leroy Jenkins’ two tunes, “Rumi Tales” and “Light” are characterized by their darker melodies and more abstract approach. At the center of the album is “911-544”, a suite by Jerome Cooper that is his reflection on the tragedies of 9/11, which he watched unfold from the roof of his apartment building. He had been ruminating on the piece since then, and he welcomed the opportunity to record it with his old bandmates. The piece opens up the sonic palate of the album by utilizing a number of other instruments, including balaphone, keyboards and chiramia — a Mexican reed instrument.